There's no doubt the best way to see Orkney is by car. With a quality self-drive car, professionally prepared for your arrival, you will have the freedom to roam and explore the islands at your own pace. At Orkney Car Hire, you'll find a range of vehicles available at great rates. You're sure to find a car to suit your needs and your budget. Cars are grouped by size - just three groups to keep it simple. More information is provided on our website. Just click www.orkneycarhire.co.uk for all the details. Quoted prices are only from one to seven days - it saves you reading a massive table of numbers. But if you need a car for more than seven days, simply e-mail for a quotation. We'll get back to you within 24 hours at the very latest. Free child safety seats and/or booster seats are available on request, and if you want to add a second driver, that's free too - but we'll need to see the driving licence of all named drivers. Certain ferry arrivals may incur a delivery charge, which are all detailed on the booking form. You can even book online right now. We accept most major credit cards and your online transaction is totally secure. Beat the ferry prices and see why we're No. 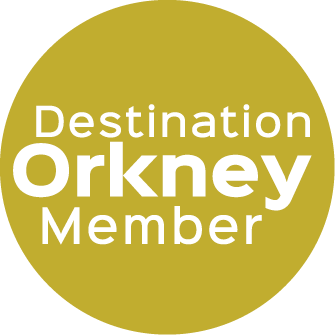 1 in Orkney - hire from us online now! Daily rental of vehicles is based on a 24-hour hire.